2-6-47 Okura, Yahata Kita-Ku, Kita-Kyushu-Shi, Fukuoka-Ken. 〒805-0048. From JR Yahata Station, take a Nishitetsu bus 43 for Kokura or bus 45 for Yamaji, (or bus 1 or 22 for Kokura) getting off at Ohkura. 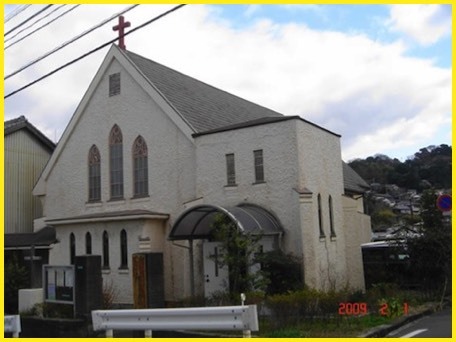 If coming by car, the church is about 5 minutes' drive from Kitakyushu City Expressway, Ohtani Interchange. The main service starts at 10:00 a.m. on Sundays. Our small congregation has a family atmosphere.